Clare Elizabeth-Kilgour is one of those people that is great at multiple things. She’s a jewellery designer and maker as well as creating ultra cool and romantic floral arrangements for Weddings and events. 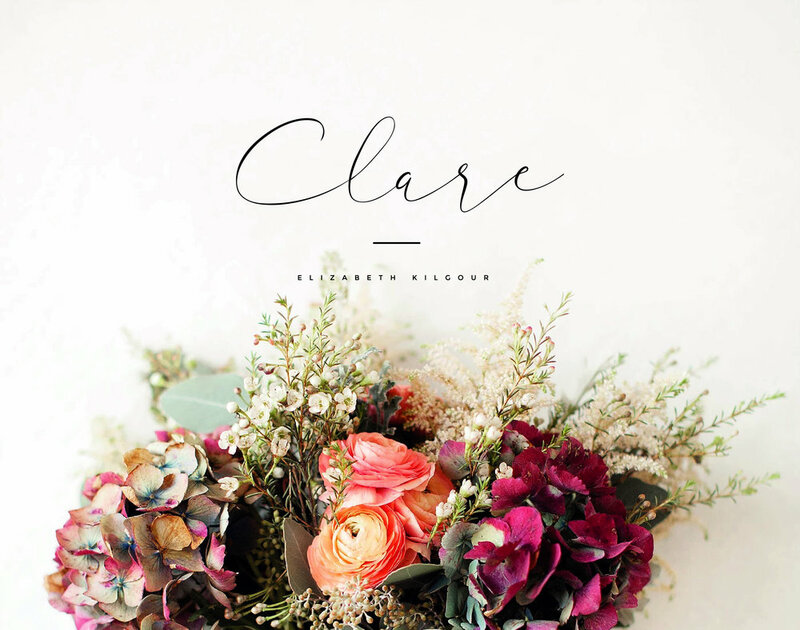 With some of my all time favourite things being flowers and hand made items it was an absolute dream for me to create Clare’s brand identity for her business. Her new identity needed to reflect her personal style and also resonate with new clients and customers. I focused on creating a design that was as clean and simple as the shapes that Clare creates in her jewellery and as fashionable as the people who wear her work. The signature style design is used to reflect her personal approach to her products and act as a sign off for each item she makes. The clear and distinguishable look becomes her trade-mark image. Using shape to represent both sides of the business and their seamless interaction with each other. Straight and solid lines for jewellery making and soft round circles for more natural elements of flower making. Form & Nature play together well in this design. One of the most beautiful elements of hand crafting and using natural materials such as flowers is the irregular shapes. Still using a strong geometric pattern, this design uses the interaction of two shapes and how they interlock with each other, to represent both sides of the business.